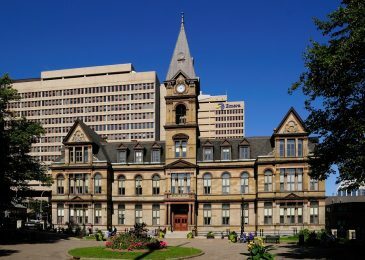 KJIPUKTUK (Halifax) – A review of employment policies and practices at HRM’s Municipal Operations Programs (MOPS) division suggests that for many City Hall isn’t a good place to work and have a career, and even less so if you are Black, queer, or a woman. The 140 page report by the Turner Consulting Group issues 90 recommendations, some of them minor and affecting simple policies and procedures, others broad and sweeping and going to the core of how the business unit operates. The five-months review concluded in January of this year takes a methodical look at how employees are hired, trained and promoted. Working conditions, attitudes and corporate culture are also within the scope of the report. On the surface things are actually pretty good, the consultants suggest. Policies and procedures may require some tinkering, but they’re mostly fine. The Halifax website includes lots of photos of culturally diverse workers. There are even units and positions on the org chart to make sure HRM lives up to these commitments. Things fall apart in the execution though, the review finds. As a result, as is so often the case, those groups of people who are marginalized suffer the most. MOPS employees look after ’green spaces and parks, roads, playgrounds and sidewalks, and in the winter do much of HRM’s snow clearing. There are 230 full time and 60 seasonal workers. Only 4 percent of all full time workers are women, the review found. Surprisingly, HRM does not know how many of the MOPS employees are persons with disabilities, African Nova Scotians or Aboriginal people. Acknowledging and addressing anti-Black racism in the workplace should be a high priority, the report states. “The overwhelming opinion of the African Nova Scotian employees with whom we spoke is that they have experienced incidents of harassment and discrimination in the workplace. Of concern to us is not just that these incidents occurred, but that they were not immediately and effectively addressed by supervisors,” the report suggests. Black workers told the consultants that as a group they face a glass ceiling within the organization. There are no Black supervisors or managers in the business unit. “The consultation with employees and interviews with supervisors suggest that the business unit is caught up in a self-sustaining cycle of prejudice in which African Nova Scotians continue to be negatively impacted by experiences of harassment and discrimination, and supervisors and other employees dismiss these concerns, or blame the victim for their response,” the report concludes. LGBTQ employees also raised concerns with the writers of the report. They noted the regular use of inappropriate language in some areas creating a poisoned work environment. Such language can also be overheard by the public, reflecting negatively on the entire organization, the report observes. There are suggestions of workplace issues in terms of LGBTQ employees, Aboriginal peoples and people with disabilities throughout the report. Because these groups did not participate in focus groups or interviews, the report mainly documents the experiences of African Nova Scotian employees. The report suggest that MOPS isn’t a pleasant place to work, no matter who you are, or what your job is. “There is no praise, just criticism from people who don’t understand the work we do and who never come out to see what we do,” says one employee quoted in the report. “HRM has bred a culture of fear and intimidation. People are afraid to raise safety and human rights issues,” another worker says. Distrust of management is prevalent, the consultants report. For example, only 26 percent of employees surveyed believe that HRM does a good job of hiring qualified people. There is a strong belief that nepotism plays a big part in hiring and promotion decisions, and that who you know matters. Seasonal workers have fewer rights than regular employees,and as such are more often subject to abuse. “Seasonal employees have no sick leave and I have been told to make doctors appointments outside of work time. We are expected to work 6-7 months straight without taking a day of time off for anything. We are not paid for time off even if we take a sick day,” one such seasonal worker is quoted as saying. Come winter things get tough for many workers. “During winter works 84 hour weeks were typical for employees for weeks. This was expected by management,” says one. “Winter works is hard on my body, my mind, and takes a great toll on family life. Being told you have to work overtime and have to come in on weekends is completely unfair. I pay the price for management’s lack of organization,” writes another. The consultants point to austerity measures implemented by Council and management as a root cause of the current situation. “MOPS appears to be a business unit that is under-resourced and which continues to face staffing cuts. … While workload is an issue peripheral to workplace equity, diversity and inclusion, it is central to the organization’s ability to successfully make organizational change,” the reviewers state in the report’s introduction. The team includes representatives from the Diversity and Inclusion Office, Human Resources, Corporate Communications and the Racially Visible Employees Caucus, a group formed after earlier complaints. One party that so far is not formally included is the Canadian Union of Public Employees (CUPE), the union that represents MOPS workers. That’s regrettable, says Mark Cunningham, president of CUPE Local 108. CUPE at the national level has a lot of experience with workplace diversity and inclusion, he says. “I am not surprised by these findings, because our society is systemically racist. You’d be hard pressed to find an employer that doesn’t have these barriers. We know that,” says Cunningham. “That said, HRM has a responsibility to deal with the issues, and the union has a responsibility to make sure that HRM follows up on the report,” Cunningham says. “I have an obligation to make sure that in our workplace there are no barriers, and that my members are working in a safe environment,” Cunningham says. Horrific conditions. Stunning, unusual truth. Ugly, dirty secrets – and conditions long prevalent – are finally being exposed. It’s a first step. As a union activist fighting for a place that has racial and acessable inclusion throughout requires constant vigilance. No matter how many reports and recommendations are brought forward until we reach the core of peoples beliefs the change we all are seeking will always be the light at the end of the never ending tunnel.Fighting stereotypes becomes a constant battle for any human rights activist or allie as an Ojibwa within my workplace when i push for inclusion of minorities not only do i have to deal with management but pushback from the rank and file members but if we dont take up the battle then no one will.